Located at the southwest corner of Mayfield Rd. 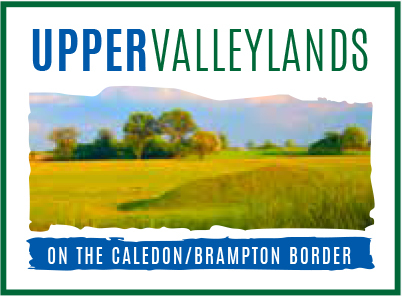 and Chinguacousy Rd., Upper Valleylands brings the signature look and feel of Fieldgate Homes' celebrated Valleylands community to a new highly desirable location on the Caledon/Brampton border. Discover a beautiful selection of freehold towns, semi-detached, 30', 38' and 41' detached homes. Come home to a beautiful master planned community design which boasts 30 acres of green space, community parkland and a proposed public elementary school. Enjoy easy access to all major local amenities, including shopping, restaurants, parks, golf courses, Mount Pleasant GO Station and much more. Register today for exclusive access to a Preview Purchasing Opportunity.